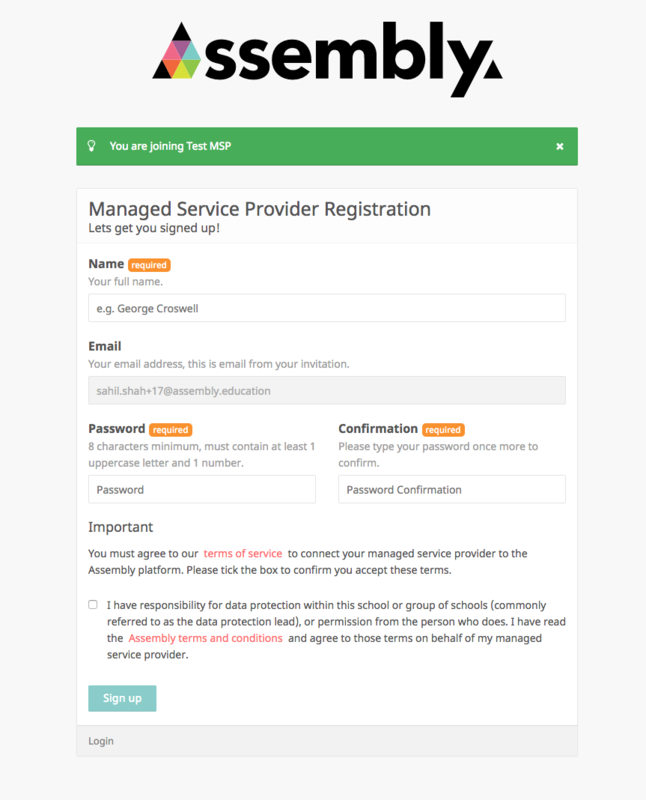 Please get in touch if you would like to be set up with a Managed Service Provider (MSP) account. You can email us at help@assembly.education or give us a call at 020 3897 2888. 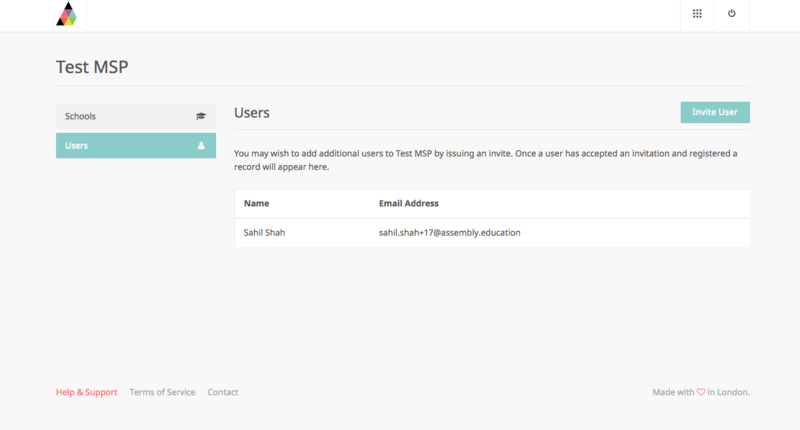 You will receive an invite email from Assembly asking you to join your MSP account. The link in the email will take you to the sign up page. 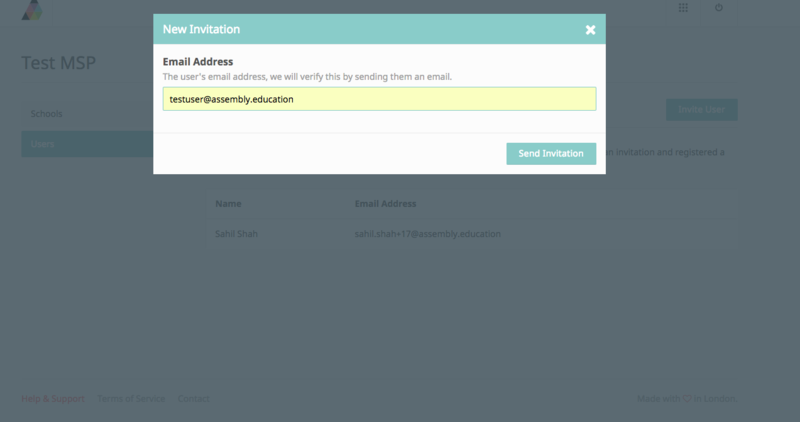 Click on Add School to invite schools to join your account. Find the school by name, local authority, or post code. Assign an MIS to the school from the drop down list and hit Continue. Repeat the process to add more schools to your profile. You will see the schools appear on the Schools tab. You can click on the their profile to complete the set up for each individual school. You can find our support guides for the different MIS setups here. 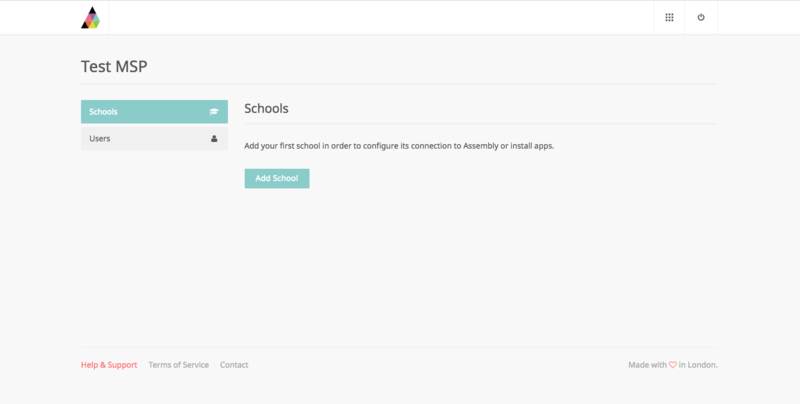 If a school is already registered on the Platform you can add them to your MSP with the same steps. An email will be sent to the school's Assembly lead - they must click the link to confirm they're happy to be associated with your MSP. Enter the user's email address, and Send Invitation. They will then be sent an invite email with link to sign up to your MSP. Repeat the process to invite more users to your MSP.